MKI comes to a close... is it the end of Broken imbalances? I have been playing Hordes now for around 2-3 years, sticking mainly with Trollbloods the vast majority of the time. With the finalization of the MKII rules eminent and the fact that MKI will most likely never ever be played in our LGS again it is time to retire my MKI numbers and start up some MKII stats. The MKII stats will be more inclusive, there will be a column just for me but I will be collecting stats from around ten other Troll players as well. It is sad to step away from this being a personal thing, but in the future the blog will be better for all the Troll players not just me. It appears the broken imbalances will be erased in MKII, but for now we will have to wait and see. So here they are in all their glory... the numbers! The first set of numbers is my overall win/loss percentages with each Troll Caster since the first day I picked up the Troll battlebox. In the first months of playing, my poor Trolls almost never ever won, unless you count 8 tough rolls in a row against rKaya on my third or fourth game when my Impaler then moved in and one shot her. Since that time the numbers have been better putting most my averages at almost 70% win. Here is the list. As you can see I struggled against Cryx ALOT, but there at the end my winning streak of 7 was the second longest streak of my MKI career, then best streak I had was with Grissel, Horthol and Longriders with 11 in a row. The next set of numbers I started collecting was killing blows. This stat was to keep track of which one of my models ended up with the caster kill. I started collecting them about the time of the release of the Hero and you don't caster kill every win so the numbers are smaller. Here are my results. As you can see, the Hero took some names. His MKI incarnation was downright brutal the turn after I sacrificed a few Champs to get the Hero into position. My Earthborn also seemed to always get a caster dead or get him close enough for a few Champs or Grim to pick it off afterword. MKII has killed the Heroes assassination capabilities making him more of an infantry killer but the Earthborn and nowadays probably Mulg will gladly fill those shoes. My last stat was the caster win stats, mainly because I wanted to see how my goto casters did AND because I can't help myself. While Borka owns the best percentage, by and large my favorite two casters to play were rMadrak and Grim. These two presented each end of the spectrum for Troll playstyle in MKI and were usually the best options to keep my opponents on their toes. If they planned for a Brick they had to hope they didn't see Grim. Grissel needs mention as I won a lot with her and she and Borka are my only two first place tourney finishes. The new numbers should be bigger, better and more inclusive. Some won't be on the blog for a bit, but they will get there. We will have what was there before, but this time we will include not only each caster's win percentage, but their percentages against each faction. On a side note I am looking for a way to setup on online form where those giving me numbers can input them on their own instead of sending them to me, then I can just open the inputs and update the blog. If anyone has that expertise they are willing to lend it would be fantastic. Also I would like to welcome a few new authors to the Scrum. The ever popular and insightful Sevwall is a very experienced Troll player and is quite active on the PP forums. Kaptain Von is a newer Troll player than spends much of his time on the dark side of the game over in Cryx land and will provide an excellent point of view about Trolls. I have always thought Cryx to be the army that is most like Trolls, though many will say it is Menoth or Khador. And finally Josh Gardner a.k.a General Nemo from the PP forums, he has typically been what I would refer to as 'The Voice of Reason' on the forums. 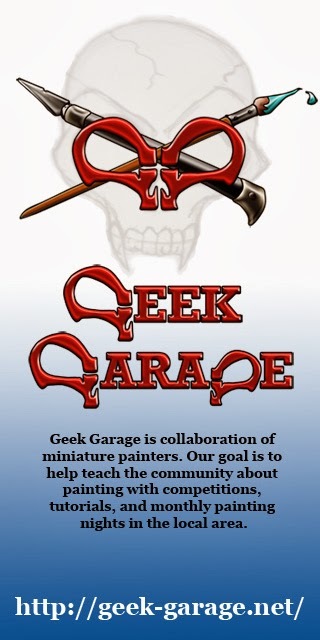 I am still looking for a couple more to contribute here if anyone wants a place to post Troll musings AND announce upcoming events in their local LGS. My name is Von, or at least I answer to that name on the Internet, and I'm a recovering Trollblood hater. I used to play Trollbloods (back when Primal first came out... ahh, the memories) and quite enjoyed throwing down with the battlebox, but I fell foul of the received wisdom that said you had to take the same boring, stodgy, slow-moving army in every game and fell out with the faction for a while, somewhere between Evolution and Metamorphosis. What I've seen of Mark II has convinced me to come back. The Whelps, the Thumper and the Pyg Bushwhackers have convinced me that there's enough viability in running more warbeasts and ranged pieces around the mutually supportive melee core. I'm not going to pretend that the Trollbloods are a 'ranged faction', but I'm not going to bore myself by taking only melee pieces and spending the first three rounds of each game slogging forward and removing casualties and doing nothing else either. I'm determined not to play the Trollbloods the same way I played them last time (Champions + Krielstone + Impaler + Axer + Mauler + Fell Caller + a warlock of my own choice, the only thing in the list that ever changed), and to actually learn how to paint tartan this time. While I'm here I'm going to be writing about: my fonder memories of the Trollbloods from Mark I; my long-standing love of trolls and trollkin in the IKRPG; experiments in colourschemes and the like; eventual reports on actual games and the transition into Mark II; and other stuff. Stuff tangentially connected to Trollbloods in some way, shape or form. Madrak Ironhide has been an iconic character for Trollbloods since the start of HORDES, having solidified the infamous “Brick” as our primary mode of victory (Supposedly) early on in HORDES MK I. The power of our chief “Brick” warlock, however, has increased thanks to the release of Metamorphosis and HORDES MK II Field Test. I am writing today to muse over the newer incarnation of Ironhide, and put forth some ideas for making him a tournament winning warlock. Ironhide’s Fury is a low 5, but thanks to the newly updated Field Test rules for Frenzying (Found HERE), this is less of a problem. He still can’t run more than three warbeasts safely, and certainly no more than a single heavy, without a pack of Whelps to give them some Comfort Food. Overall, I don’t find his low Fury stat to be inhibiting, and I do not find myself needing (Though we all want) more Fury when I carefully plan my turn. The Chief has access to a few choice abilities that help define his play style and keep him alive long enough for a devastating feat turn. His Talisman of Subdual stops full tilt beast assassinations on Madrak, preventing the winged monstrosities of Legion from spearing him from across the table (With a charge, anyway). While situational, players will definitely be thankful for this ability in Claw and Fang scenarios or any time Madrak is on the ropes against enemy warbeasts. A far more commonly used ability can be found in his Scroll of Grindar’s Perseverance, which will also help in thwarting assassination attempts on Ironhide. Lastly, Critical Grievous Wounds is Madrak’s ace in the hole. Combined with his thrown Rathrok attack, Madrak can assassinate warlocks from a distance, getting a P+S of up to 19 that can’t be transferred. Carnage is perfect for Ironhide’s force composition, which usually consists of melee troops with moderate MAT scores. This spell bumps them up to levels of accuracy comparable to warcasters like the Butcher of Kardov, or legendary swordsmen like High Paladin Dartan Vilmon. This spell is great for Madrak’s feat turn, letting his troops become hyper-accurate killing machines! Its high cost, however, means that using it will limit Ironhide’s ability to transfer damage, which is somewhat mitigated by his Scroll of Grindar’s Perseverance. Madrak’s signature spell, Sure Foot, has gotten a bump in efficiency in the MK II Field Test. Now that Sure Foot is an upkeep spell, Madrak has more Fury to spend on attacks, animii, and his newfound best friend, Carnage. The increase in defense helps a lot of our low defense troops avoid the attacks of common troops and forces warbeasts and warjacks to use much needed resources to kill them. The universal presence of Tough in our troops, coupled with the knockdown prevention of Sure Foot, makes our troops survivable, particularly Kriel Warriors with Stone-Forged 4+ Tough. Last is also a signature spell of Ironhide’s: Stone Fall. Many have touted this spell as useless, and I disagree. While situational, I hardly think a spell that knocks enemy models down in an AoE useless. I would gladly invest 4 Fury on a boosted Stone Fall to try and knock down a group of models that stand between me and my mark. This spell has the major drawback of being fairly inaccurate thanks to Ironhide’s Fury stat of 5, but the spell is not without its uses. Madrak Ironhide’s most important asset, in my opinion, is his feat, Crusher. With the long list of accuracy and damage increasing abilities that Trollbloods have access to, and the large number of warbeasts with reach, this feat can be absolutely devastating to enemy troopers. The limiting factor here, though, is his small control range. This requires that Madrak be close to the action, but this does not necessarily make him more vulnerable. Madrak has weaknesses, most of them involving his low Fury stat, but he relies on his army and his feat to make his already impressive forward momentum into a devastating push. Next, I will detail some of the specific models that I like with my Ironhide lists. The MK II Field Test Axer is the one model, if I had to pick, that I truly wish to stay the same in the final rules. At 6 pts., the Axer is a steal: MAT 6, Reach, Thresher, and arguably one of the most useful animii available to Trollbloods. Combined with Carnage, this warbeast can hack through troops like a hot knife through butter. Rush is the main draw here, letting the Axer or our other heavy hitters get the jump on the enemy. The Axer is in absolutely every Ironhide army I play, and that is because he is Madrak’s best friend. Mulg the Ancient, while disliked by many in the Trollblood community, is a marvelous addition to Ironhide’s armies. Mulg performs two roles in an Ironhide list, unlike similar heavies like the Earthborn and Blitzer. First, he is a tank that can cause huge amounts of havoc in one on one fights against warbeasts and warjacks. Secondly, he is an infantry lawnmower with the help of “Are You Gonna Eat That,” Carnage and Crusher. This gives him plenty of extra movement to charge, engage and eliminate enemy troops, as well as destroying hard targets. With Carnage bumping him up to MAT 9, he only needs to buy attacks and sometimes boost damage against key targets. Everyone loves the Impaler, and his benefit is obvious in any army: He slams things. In an Ironhide army, though, he helps the Chief with his favorite trick, the thrown Rathrok assassination (Or, “Chop and Drop,” as I like to call it). Another great use for the Impaler, though, is as a melee troop-killer under the effects of Crusher. With Carnage boosting the Impaler’s MAT to 7, he rarely needs to boost against troopers to kill them. Alternate choices for his battlegroup are rarely poor, with elemental immunities, Shield Guard and damage bonuses always being helpful, but I cannot stress enough that Ironhide needs a heavy hitter to counter enemy warjacks and heavy warbeasts. Without it, he has to rely on his troops to take down hard targets, which is a dubious task against many factions that can prevent the big push that the Trollbloods need to accomplish this. Another must for an Ironhide list is a Trollkin Hero. Why, you ask? MAT 8, Reach, Cleave, Weapon Master, Relentless Charge; These are all great abilities individually, but no model combines them quite like the Hero. This model is practically built for Crusher, even having a backup attack in case of a poor attack or damage roll! Weapon Master means he can bring down units like Man-O-War and Cataphracts as well as squishy high defense troopers (Thanks to that MAT 8 and Carnage). At least one goes in every Madrak list I bring, and a second one at higher point levels is a fantastic choice. For troops, Fennblades are my first choice, thanks to reach and moderate P+S weapons. Their low pt. cost allows them to be a core screen of troops for Ironhide without taking away from the tools of the army. Kriel Warriors also come to mind, since they benefit from greater speed, but lack speed when they pray for accuracy and power, and vice versa. The point investment for Kriel Warriors is also greater, but the survivability is greater compared to Fennblades. The choice is one of personal preference, since both can really shine with Ironhide. Champions are another obvious choice, and are a great backup from breaking hard targets, not to mention they are harder to kill as a general rule. I recommend these for the traditional “Brick” army build that is centered (Literally and strategically) on the Krielstone Bearer and Sure Foot, but not for a forward Crusher build. Support models are plentiful to Trollbloods. Any of them are viable, but some are limiting factors. I dislike the Krielstone Bearer in my MK II Ironhide lists, since the change to Sure Foot allows him to fire and forget the spell and not stick right where he is. It is helpful, but restrictive to your movement. The Stone Scribe Chronicler is a great addition with the inclusion of reach warbeasts, and allows your troopers to have some serious damage output. Charge of the Trolls also potentially makes Scattergunners a nice utility unit for the otherwise single-minded warlock. The Fell Caller is a nice solo for Madrak as well, having high speed, two base attacks and weapon master. On top of that, he has his trademark Fell Calls, but that is icing on the cake for this beatstick. In summation, I think that with practice and correct army composition, Madrak Ironhide’s non-epic incarnation is a potentially potent warlock with the ability to dominate the field in close combat. His major weakness lies in his low fury stat and vulnerability to ranged attacks (Or rather, a lack of support for the models that would counter them). It’s important to look at Madrak for what he is: A troop killer. It is also important to make sure that an army is composed to cover his weaknesses. I see nothing on this warlock that I would like changed in the Field Test, save for a higher Fury stat, but that is just a dream I doubt will be realized. Play the game, Trollkin, and have fun! So the poll results have been in for a while. According to the 24 that voted, the best arcnode in the game is Thorn with nine votes. Second place belongs to the Revenger and Deathripper and third is owned by the Phoenix. Being a numbers guy, using the MKII pdf all the Warmachine arc-nodes stats were put on a spreadsheet so I could rank them. My criteria was simple, offense was unimportant to me as I wanted to analyze only their effectiveness as an arcnode. So I ran the numbers under three different base attack numbers and ranked them according to their ability to take a hit and still be able to function as a node. Again I did not take into account any offensive abilities only defensive, and I did not take into account that the node can't be used in melee. After I did that I compared to point cost to arc-node survivability to see which one was the best for its points. Here is what I found. What it boiled down to was whether or not the arc-node could stand to take much of hit and/or stay out of harms way. Take a good hard look at the Phoenix folks, its a monster, due to its force field you can't take out the node with one well placed hit... just not gonna happen so you'd better have a couple attacks ready to finish the job or it will finish you and then get channeled through again. In the percentages the Phoenix only barely, and I mean barely beat the Lancer. While Thorn is essentially the same, when you factor in point cost, if your just looking for a node there is no comparison. Cheap and maneuverable the Lancer plays its role as a node quite well, along with Set defense and quite good armor with its shield. Other nodes of note, and Many Cryxians would agree their nodes are not the best. They are far from the worst however. Unless of course you look at the Defailer! Seriously though, out of all the factions Cryx is still most likely to bring them just for the node over anyone else which makes their middle of the road place in the line make them Cry. Out of all of the nodes they are among the hardest to hit and the cheapest to field but if you do hit one, its lights out. The only reason the Defiler is so low on the list is becuase of the cost. I ran one sheet putting the Ripper at 3 instead of four and I can see why Privateer Press didn't do it. But that is a flaw in thier new point system more than anything else. Bottom of the Barrel as far as nodes are concerned, yup Protectorate's own Guardian. The Blessing of Vengeance was quite low too, but lets face it, the BOV has some serious offense to offer any Menoth player. The Guardian on the other hand with its high cost isn't really a good choice if your bringing him for the node. Protectorate players would probably be better off bringing the Revenger for a taste of a good arcnode. But if you like the Guardian, like the BOV, the node is more of a perk and not the reason you bring them. For a numbers guy this one was fun do to, someday I will figure out a way to factor in offense of the jack along with the usefulness of the node but its a bigger fish than I have time to fry. PP forums discussion can be found HERE. For a lengthy spreadsheet pm me on the forums. My thoughts on each model as it is now in MKII, with potential Feedback possibilities if the model fails to live up to my expectations. I will try to evaluate all models as if it were the only rules they ever had, unless I am suggesting feedback, in which case I reserve the right to draw on old rules. I will revisit this later on. Models rated 1 to 5. Another model that I feel is fine. I will say that I think its high time they standardized all of our heavies at 5 fury, but I would really hate it if his points increased, so I’m fine with 4. The ability to charge and boost is extremely good, especially since instead of riling he can just boost shots at people and hope for a hit. And if he hits, a boosted 13 can really put some hurting on, well, anything. Two handed throwing a model (maybe your own) followed up by a boosted 13’s and 0-2 additional unboosted 13’s is a pretty cool and efficient way to end a game. Again, he suffers for his cool ranged junk with reduced, but still effective, melee potential. Potential Feedback: Make his animus push people 3”, to standardize it with ‘bump’ and affect people with reach. That, or make it cost 1. Mulg is an interesting model. He has the distinction of being one of the few models almost guaranteed to kill [I]anything[/I] in his melee range, almost more so than a buffed Mauler. Reach is incredible, as is his MAT and the P+S on his weapons. The main problem comes with his SPD, which is very slow at 4, and AYGTET (Are You Going To Eat That) makes up for it in a way that is quite possibly broken. You see, AYGTET is a nifty cornercase thing, and its hard to trigger it yourself because tough will screw you up a decent amount of the time. In come the whelps. With poor DEF and no tough, they easily trigger AYGTET. So, Mulg moves 4”, and starts charging around corners 16”, which is a problem. So remove it, and give him snacking, right? Well, no, because then he is lackluster. Sure, he kills things, but he costs a ton, isn’t too much more survivable than a Mauler, and has an animus that is possibly the worst in the game. Possible Feedback: Remove AYGTET for snacking. Increase SPD by 1. Change Runebreaker animus to be a 3” ‘disenchant’ that causes Enemy Animi and Enemy Upkeeps within 3” of the caster of the animus to immediately expire. He gets a bit better overall, gets a real animus that is worth paying heavy points for, and loses the insane threat range while still retaining a threat advantage over normal trolls. Okay, reach thresher on a MAT 6 beast with POW 15 is a touch over the top. Just a tiny, tiny touch. The real problem is Befuddle, because in combination with an Axer, you can arrange units in semicircles and get an axer a backstrike thresher at MAT 8 ignoring shieldwall. Pop the feat and you cannot miss DEF 14 or less with this tactic. Add a Mauler animus and there is hardly a unit you will not completely remove from the table. But enough about that. The axer by himself is almost fine. Its not the beast so much as the animus that really puts him into ‘always take’ territory. But that’s just because it’s an animus that fits us so well, its not really a broken animus. So he is fine. Mostly. Boy this one rambled. Possible Feedback: Reduce POW of the axe by 1. He is less effective at killing heavies, but not much else. Its funny. He hasn’t done much in my games, but his reassuring presence makes me fear range much less. Personally, I’ve stopped taking him so much, because I’ve been facing more melee lists that ranged lists. But in a tournament I might take one to help guard my caster. Bump is a slightly underpowered animus because most opponents can position around it, but its acceptable. He hits well enough for a light. Another all around good beast. Possible Feedback: Increase POW of shield by 1. Tiny tweak to make him a bit more palatable. Well, I’m less happy giving this guy a 3, but his animus is okay, he automatically sets people on fire in melee and at range, and he hits well enough in melee, especially if you buff him. Solid. Just Solid. Possible Feedback: +1 RAT. I see no reason why it would overpower him, and since these beasts are supposed to be at the least all arounders, an incredibly low RAT is very painful. You will get used to this feedback. Possible Feedback: +1 RAT. I see no reason why it would overpower him, and since these beasts are supposed to be at the least all arounders, an incredibly low RAT is very painful. He is also not quite as nice as an Axer. The extra STR does not do much for him over his cheaper bretheren. That said, his animus is the same as the Pyre, so if you are expecting heavier targets, take him, and if not, take the Pyre. Possible Feedback: +1 RAT, +1 ARM. If he is going to be a 6, lets make sure he earns it. Again, lackluster. Not bad, just meh. Really, for a ranged beast, this guy really has trouble hitting broads and barns and whatnot. The inbuilt stationary effect is quite good at preventing jacks, beasts and casters from targeting the Winter troll. Luckily for them, his bad DEF and ARM make it easy to whittle him down at range enough that a single charge attack will waste him. He just needs a little tweek to be okay. Possible Feedback: +1 RAT, -1 point. I see no reason why it would overpower him, and since these beasts are supposed to be at the least all arounders, an incredibly low RAT is very painful. Why is this guy 6 when the winter is 5? Is auto-stationary really all that much better than auto-fire? One kills infantry, one stops models. Seems almost a wash for me, especially after playing him a few times. He drops just as fast as a Pyre. He should cost the same amount. So, the Slag and the Pyre have the same damn animus. The difference between crit fire and crit corrosion is so unnoticeable and meaningless that is only bears mentioning so that I can summarily dismiss it. I get two beasts with the same animus. Both the Brute and the Protector have Safeguard. But they are in different factions. In a game where animus are important and influence what beasts you take (See: Axer) having two similar beasts (all arounders) with the same animus is so very strange. Why exactly would you take the Pyre and the Slag in the same list? If you do, why should you be punished for it by being deprived of another animus? If the animus is so critical that you double up, you damn well double up, or take Bone Grinders so that you have a backup. What should it be? Well, I’m not lucky enough to be a designer (yet… hire me!) so its not really in my prevue to create an entire new animus. But if the Slag is anti-heavy, and so is his animus, then it makes sense to give the Pyre an anti-troop animus. I like the idea of giving “It Burns” out as an animus. But again, I am not a designer. Tommorrow…. Maybe nothing! But maybe Units.